Get ready for the weekend with our new travel kit! 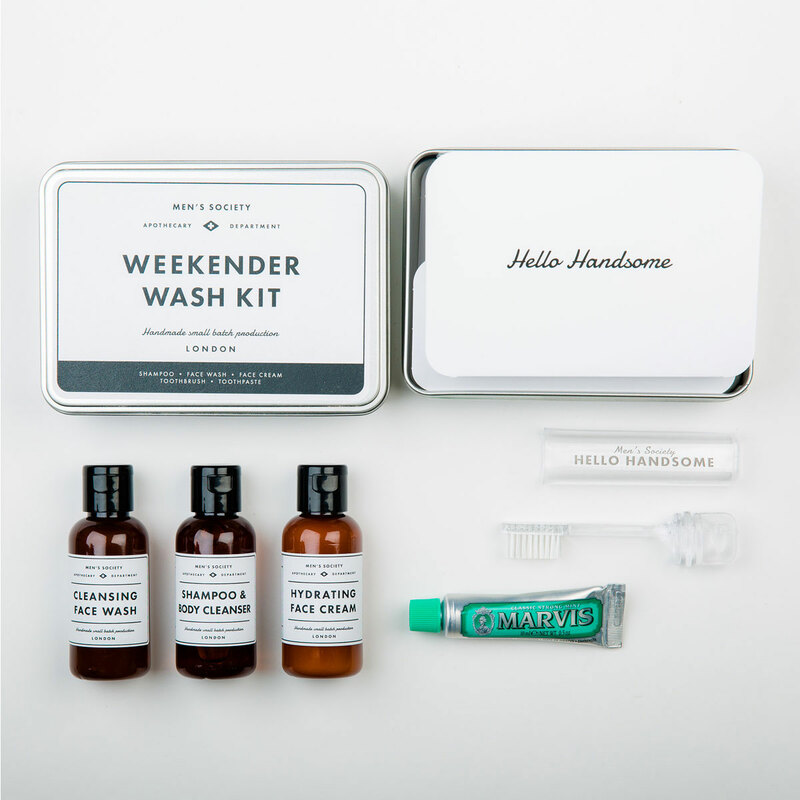 The Men's Society Weekender Wash Kit is the perfect travel kit for any man who is on the go. 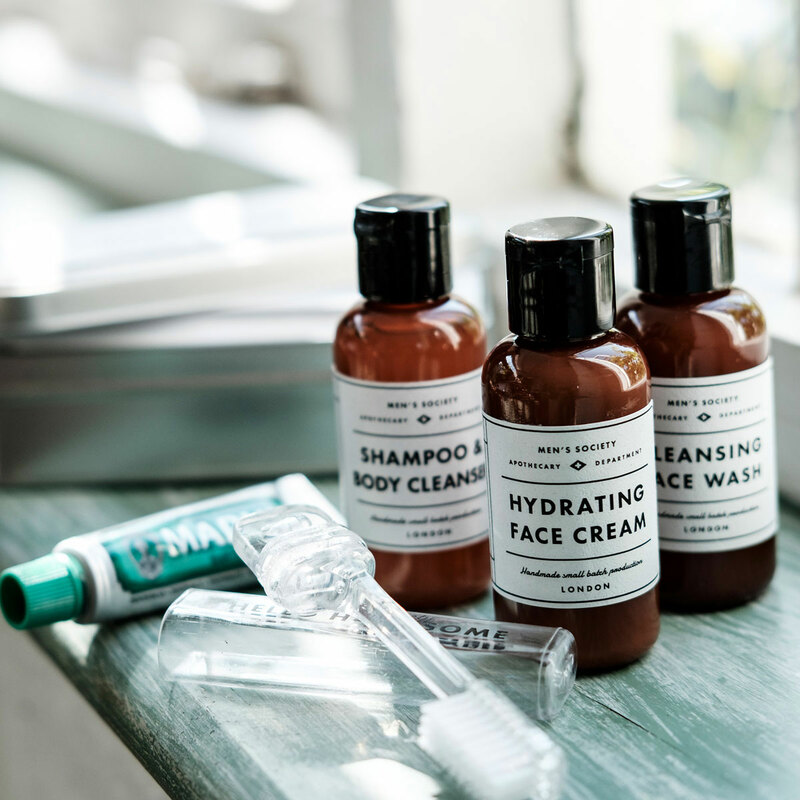 Containing all that’s needed to stay fresh & clean when taking a weekend away, just pop it into your carry-on bag and go. 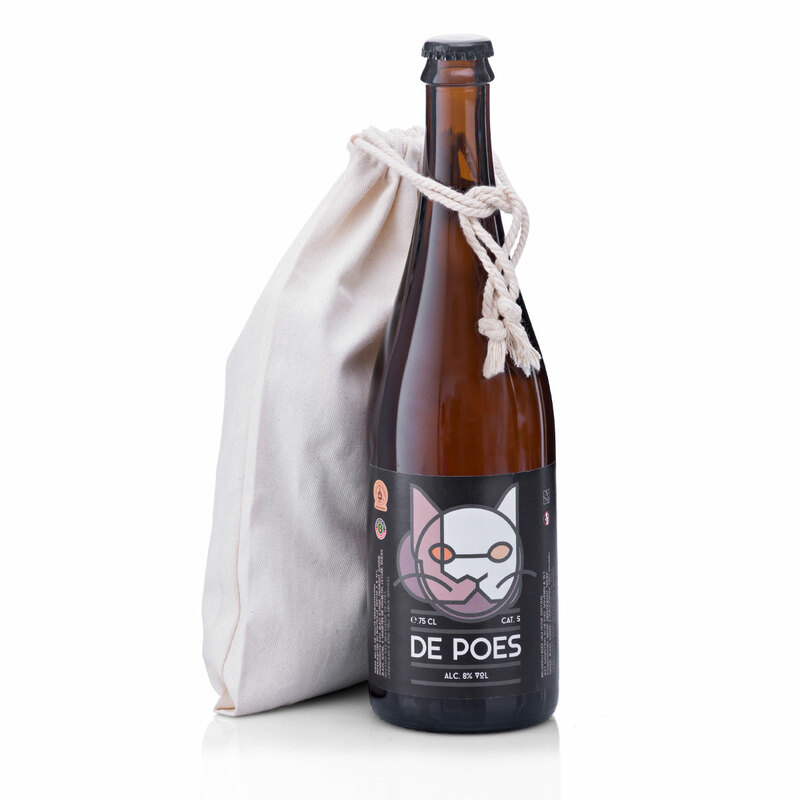 Unwind on the weekend with a bottle of De Poes beer. This fruity blond Belgian beer has pleasing citrus notes and a well-balanced bitterness. 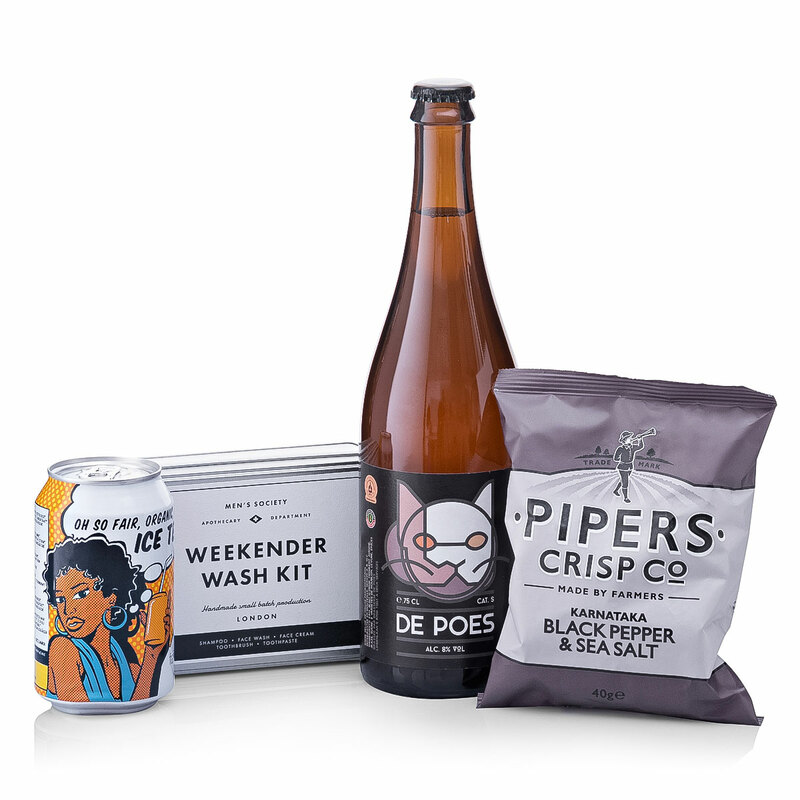 The Piper's Crisp black pepper & sea salt gourmet potato chips are delicious with the beer. A can of Oxfam organic Fair Trade ice tea is a refreshing pick-me-up to prepare for the weekend fun ahead. Presented in a handy reusable cloth pouch.